WHO/Europe | Infographic: What are the sources of air pollution? 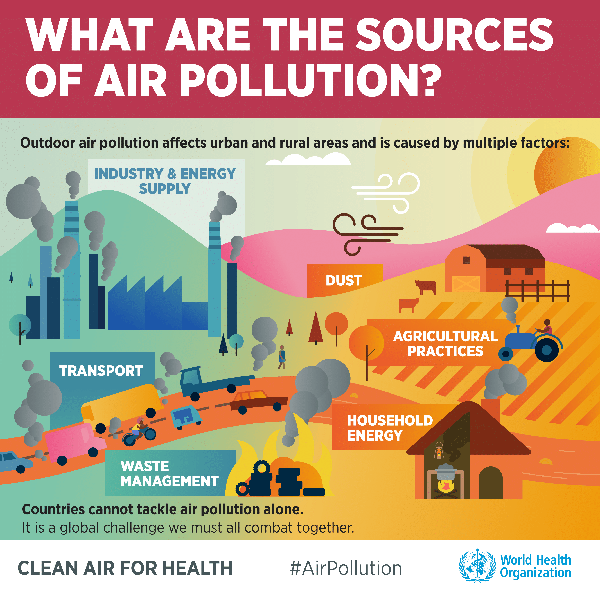 Health topics Environment and health Air quality Over half a million premature deaths annually in the European Region attributable to household and ambient air pollution Infographic: What are the sources of air pollution? Infographic: What are the sources of air pollution?